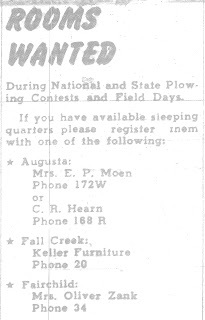 In September of 1953, the population of Augusta swelled considerably during a 2-day event usually referred to as the National Plow Contest. With recorded numbers ranging between 60,000 to 100,000, hotels were booked solid in the surrounding areas, leading to local folk being asked to open their spare rooms to travelers who wished to be a part of the occasion. This exciting event not only quadrupled the size of our small city for a brief time, but we also welcomed many of the time’s well-known. 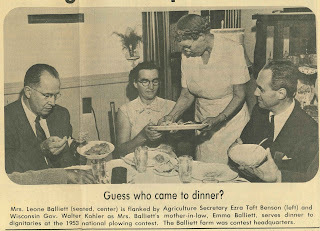 Guests to the competition included then Wisconsin Governor Walter Kohler and popular music artists Homer & Jethro. 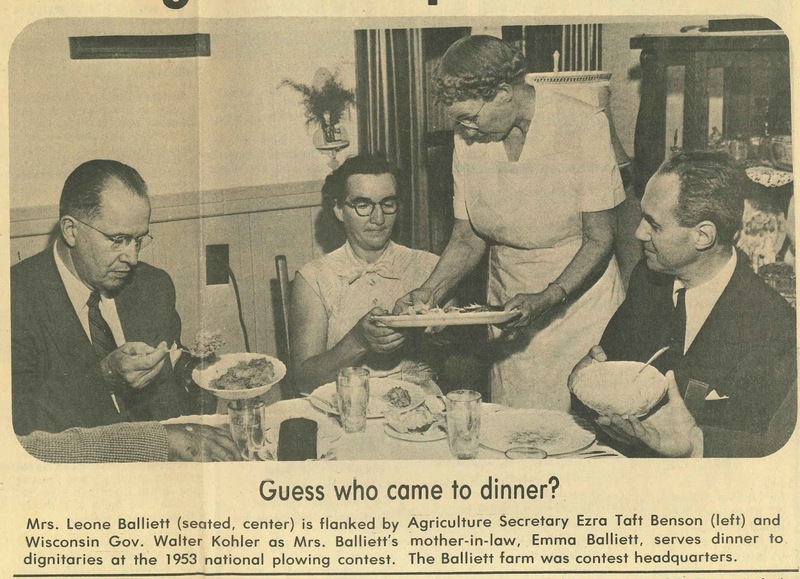 Rumor has it that even President Eisenhower had been invited, but had to decline due to other engagements. 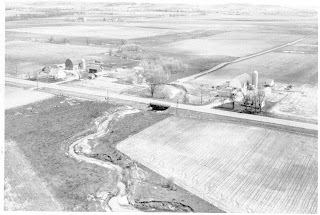 This slice of history shouldn’t be forgotten; even if only as a reminder that rural cities such as our own, can make an impact on a larger scale. For two days, many years ago, our spot on the map was ‘the place’ to be; a fact that many still take pride in today. 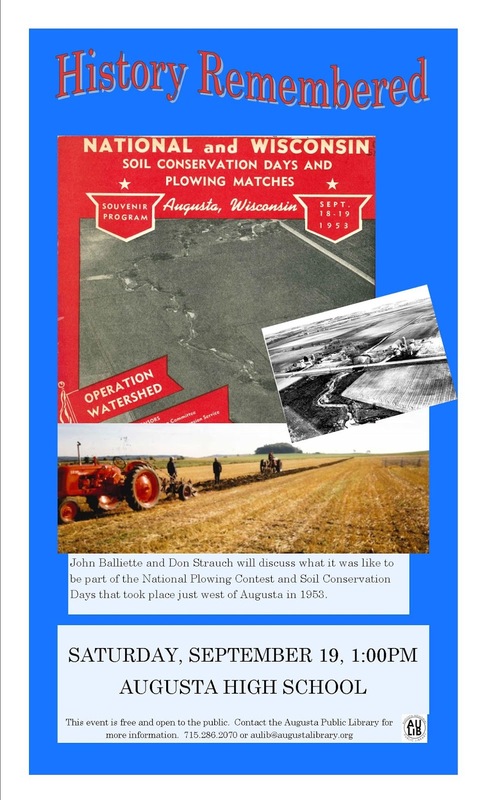 Join us on September 19th at 1 PM in the Augusta High School cafeteria for a review of the event with John Balliett and Don Strauch, participants in the events. 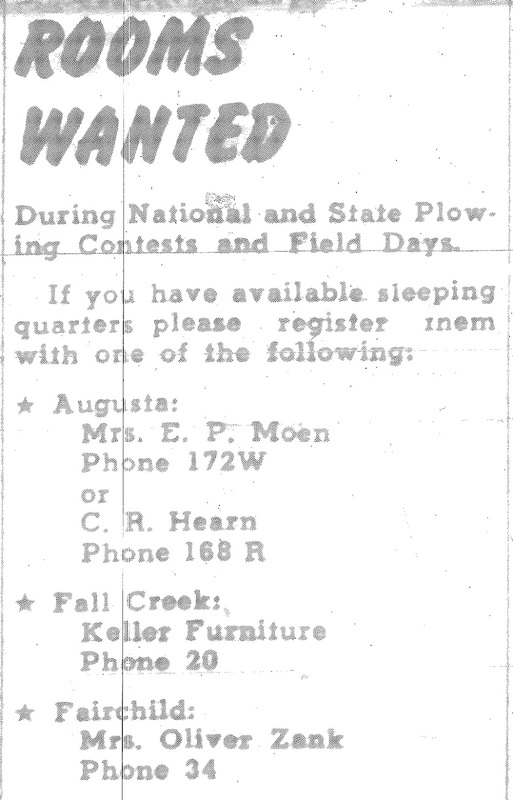 Come listen to these community members share their memories and memorabilia of the events on the 63rd Anniversary of the National Plow Contest and Soil Conservation Days.